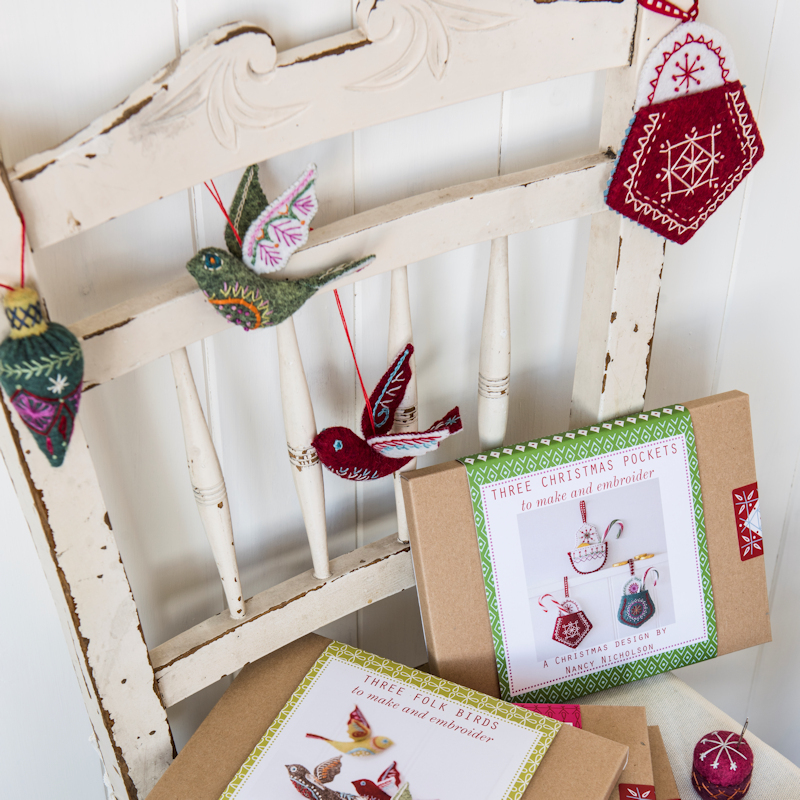 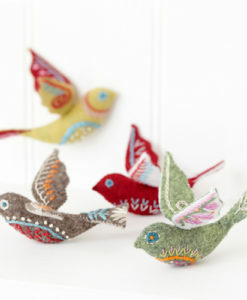 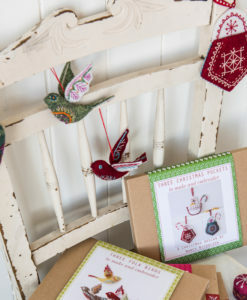 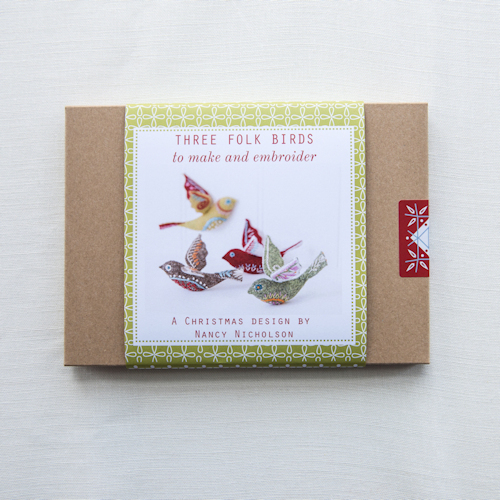 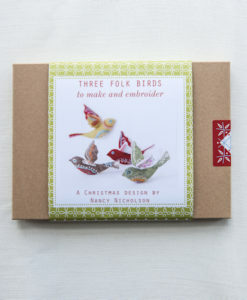 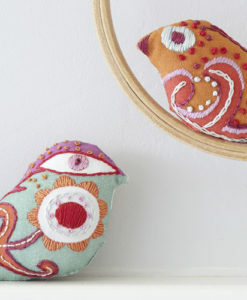 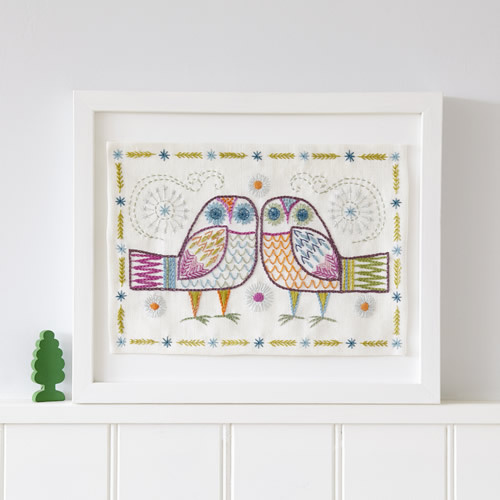 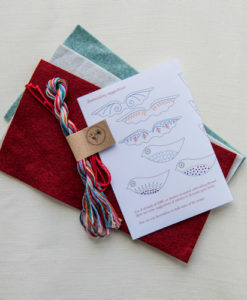 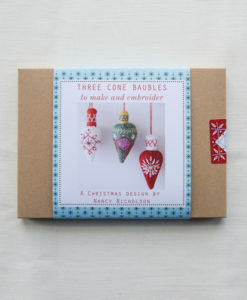 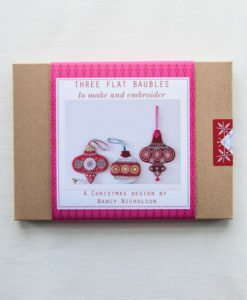 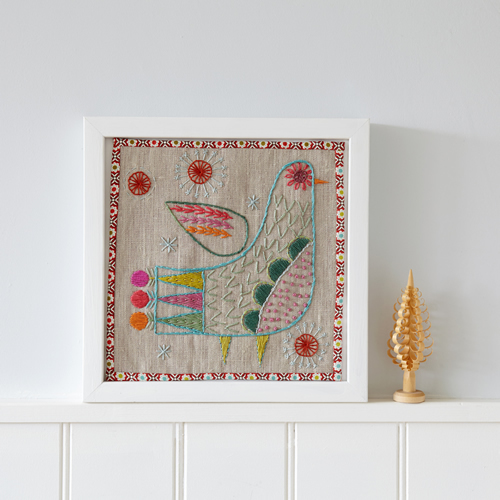 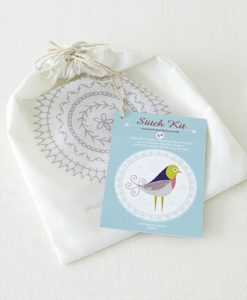 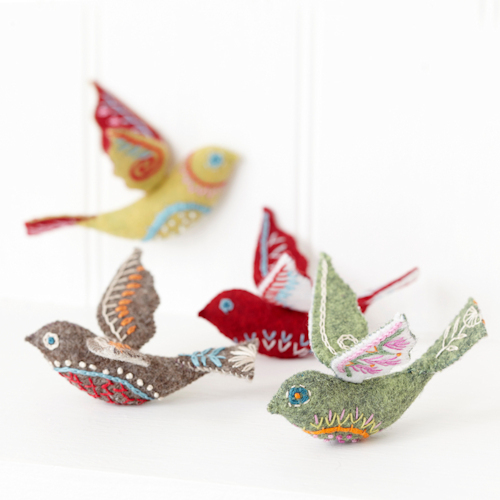 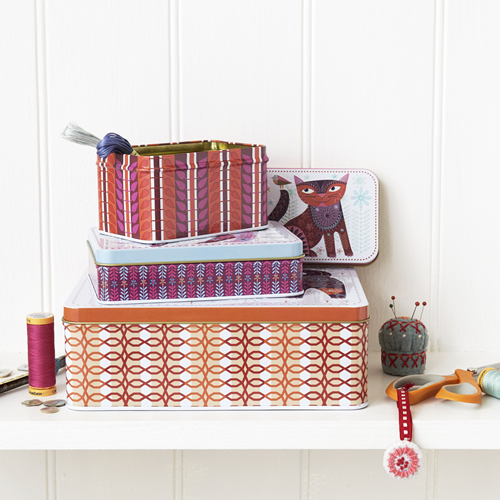 Now a full embroidery kit, the Folk Birds bring a handmade folk feel to your Christmas decorations. 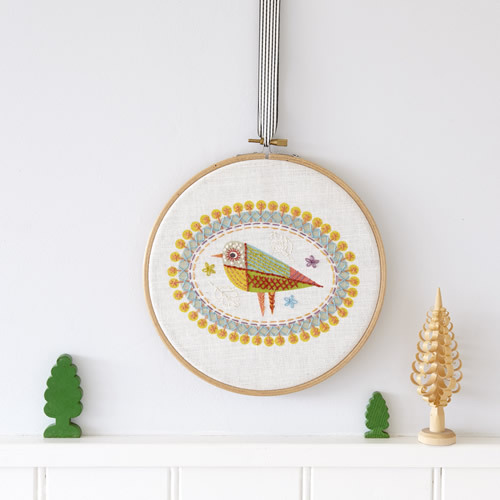 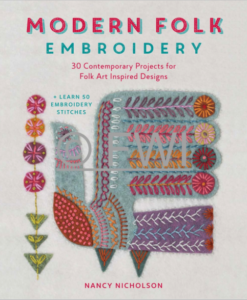 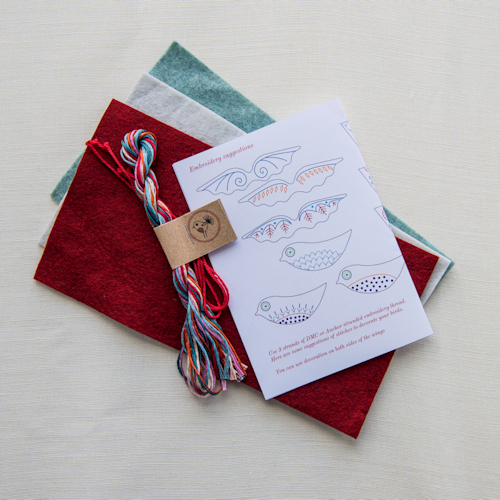 New for Christmas 2017 – previously available only as a download design the Folk Bird Embroidery is now available as a complete kit! 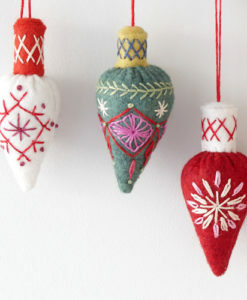 (nb you’ll need to provide your own stuffing). 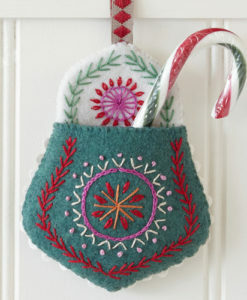 Combine stitches as you like for decoration or follow the stitch suggestions. 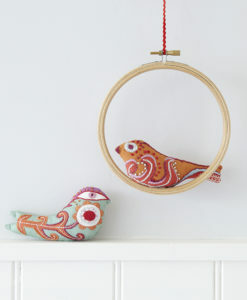 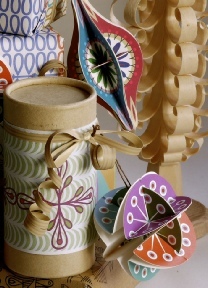 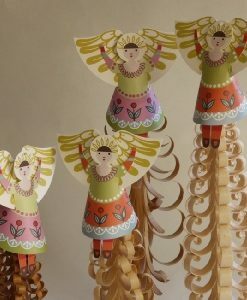 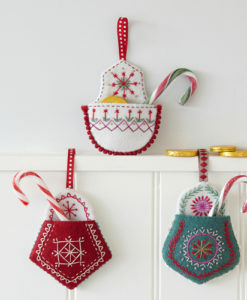 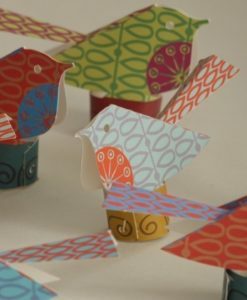 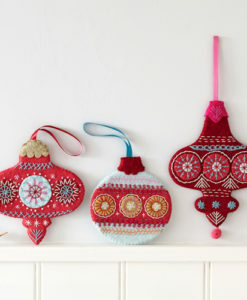 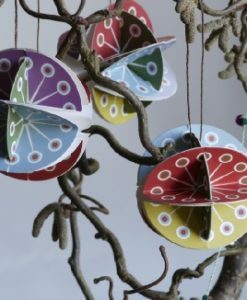 Hang the finished birds around the house to bring a handmade folk feel to your Christmas decorations. 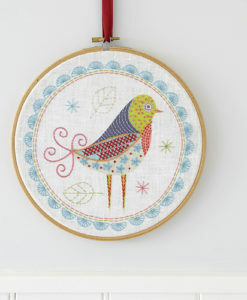 Finished bird size is approximately 12×10 cms.